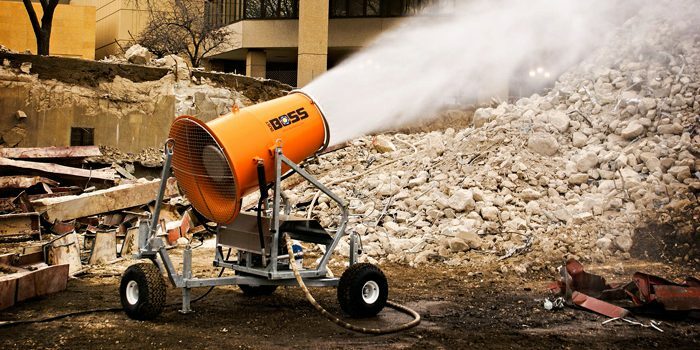 The DustBoss® 60 (DB-60) combines power and mobility as dust control’s most versatile cannon. 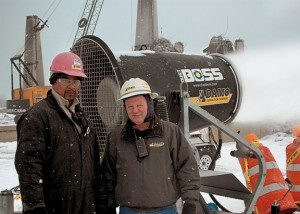 Its 30,000 CFM fan can cover more than two American football fields in dust-trapping mist. Standard coverage 40° oscillation: 21,000 square feet (1,950 square meters). Optional 359° oscillation coverage: 125,000 square feet (11,613 square meters). Available in genset / trailer packages.